What happens when a Scandinavian designer and a Japanese company join forces? Weird gadgets is what happens. The Necono is not a paperweight or a fridge magnet, though it does have magnets on its feet/base. 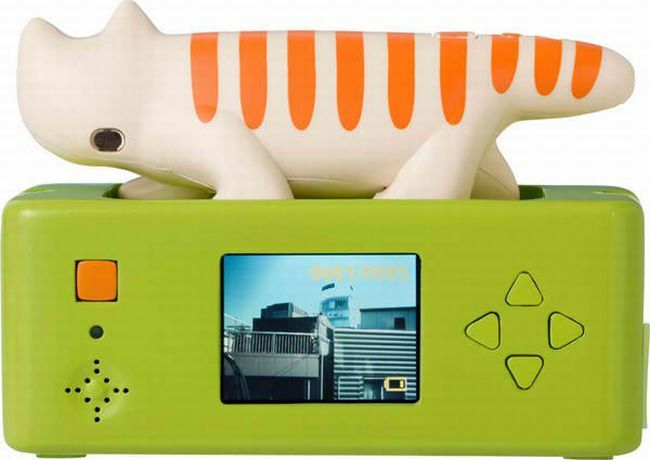 The Necono is a small feline shaped camera that can take video and pics thanks to a hidden MicroSD card. There’s separate LCD monitor attachment–pictured up north, with the cat cam facing away– for the Necono and it’s not even as attractive and bizarre as the at. The color doesn’t match either. Still, if you’re a sucker for weird gadgets, this looks like a prize catch for your collection. The Necono is available at this location for around $200.